Loss of Limb: What Radiohead could have done to improve their self-distributed King of Lambs Album web success. Over three years ago I beat up Radiohead for the online execution of In Rainbows. I was frustrated because they had a great opportunity to prove the self-distribution model online, but made several simple mistakes that may have reduced their effectiveness. With their latest release, King of Limbs, which hit the web today, they made some similar mistakes. Before I jump into the King of Limbs website improvement suggestions, I do want to applaud their music and alternative distribution experiments. They are still doing a great job changing the music industry–I just wish they partnered with a company that knew what they were doing online. Here’s what I wish Radiohead would have done with their King of Limbs Album Website from different standpoints. Splash homepage. Relying on Image map for navigation with poor alt text. Glad I’m not blind. But they want me to be blind. There is no description of what is on the album. How many tracks? What songs? No opportunity to preview any of the music. I don’t need to hear the whole song, but I would love to hear a sneak peek before drop $9-48.00. No help deciding what digital version to choose from. No links to any information about the band. No links to other sites about the band or other albums. Navigation comes and goes. Homepage has no navigation other then image map. Some pages have Home link, Order Tracking, Help and Checkout. Other have only Home link and some have Home, Order Tracking and Help, but no checkout. Checkout jumps to www.thekingoflimbs.com through strange transaction URL redirect. If you started on kingoflimbs.com, this may trip up some people, especially with higher levels of browser security. Not brought into a secure form until you fill out your email address and password. Order form being non-secure until this step may scare some people. No choice on the download options. Does it always come down as a zip file? The zip file came with no instructions whatsoever. Some people might want help loading the MP3s into iTunes, etc. No images to be used as thumbnails on Facebook or other sharing platforms when linking to the site. No sharing options on the site. Why not encourage people to brag about downloading the album? Completely reliant upon news organizations to point to the URL and share the news. No information about the release. No link or embed of the music video. The press felt it was worth sharing, why did Radiohead skip it? No evidence of interaction with fans on release day – other then a Tweet that says you can download the album. A splash homepage with an image map. Seriously? 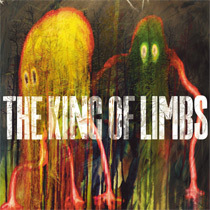 Title tag is: “The King of Limbs : Where are you?” No mention of Radiohead, music, album, etc. “Where are you” not helping anything. The alt tags on the image map are not helping the site (The Americas, S.E.Asia, UK/Ireland, Europe, Rest of the World. No meta description. Guess they don’t care what their listing looks like in the engines. Used only an H2 and a H5. I’m scratching my head on why they chose those two. Had the search engines crawl the correct URL before the album launch. A search for “King of Limbs” has the following URL #1 in Google: thekingoflimbs.com/CC.php?ID=2. Both canonical version of the site resolve (thekingoflimbs.com and www.thekingoflimbs.com). Pick one! KingofLimbs and www.kingoflimbs also resolve – I can’t tell which domain they want to use. All the different domain variations clearly creates duplicate content problems, but each area of the map you click on generates the same content–only the price changes. Passing a large amount of link equity to shop.sandbag.uk.com. The various SEO mistakes make it so search spammers, music resellers and bit torrents can potentially outrank Radiohead for their own album. Since they are self-distributing this could result in lost sales or unnecessary commissions. Despite all the issues I raise above (and many more I didn’t bother pointing out), I’m sure the King of Limbs album will be highly successful. This site is still executed better than the In Rainbows site was. Again, I’m frustrated that they didn’t put the web to full use, especially if it is their primary distribution method. Unnecessary disclaimer: I listened to the album while writing the post and must say that I enjoyed it. So far Codex is my favorite song.